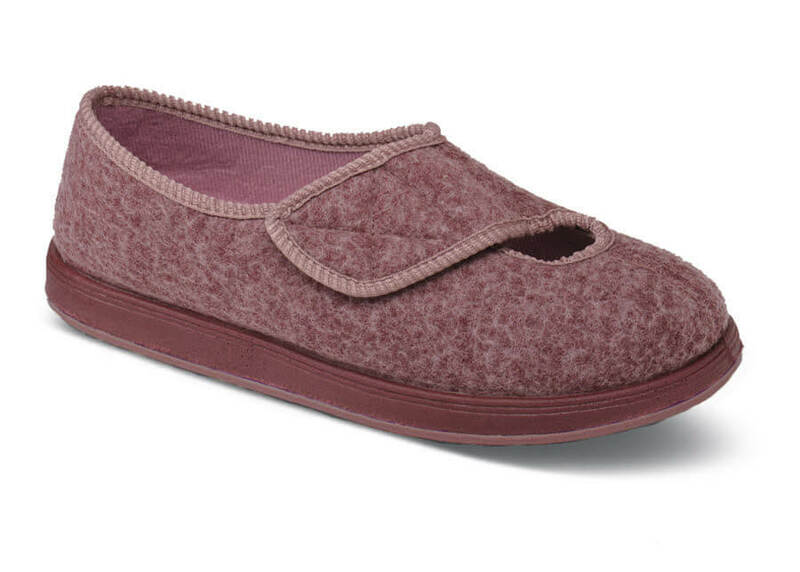 Foamtreads makes the "Kendale" slipper in a dusty rose 70%-wool blend blanketcloth for temperature stability. It has a broad hook-and-loop strap closure and anti-bacterial Nylex linings and footbed. 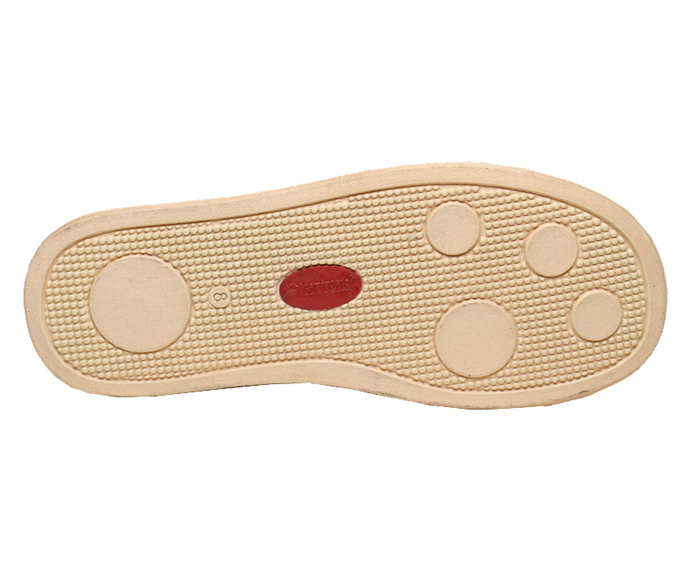 Dual-density non-marking natural rubber outsole permits indoor or outdoor wear. Women's whole sizes 5 to 12 in an extra-depth XW width.